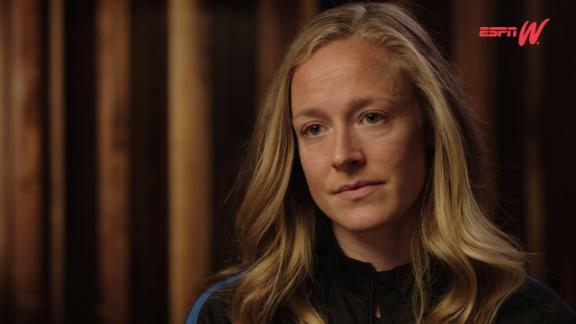 USWNT co-captain Becky Sauerbrunn explains why the NWSL should not be used as a bargaining chip by U.S. soccer. 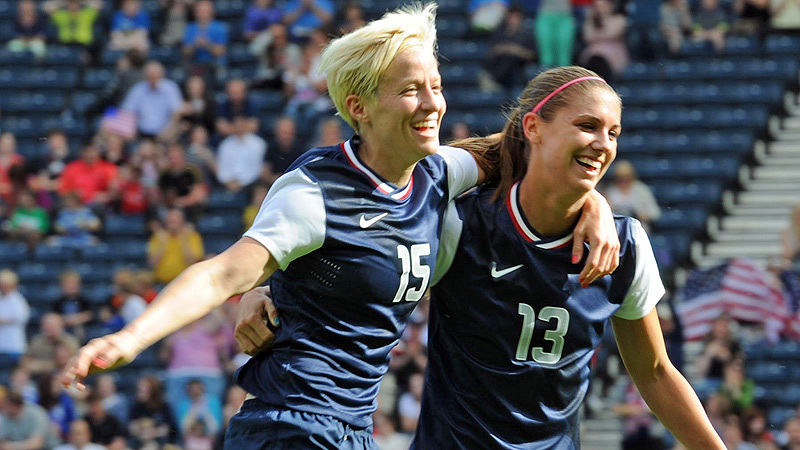 Why wait for Rio to get your soccer fix? The 2016 NWSL season kicks off with three games Saturday. So let's get to it. What does it mean to get to a fourth season? 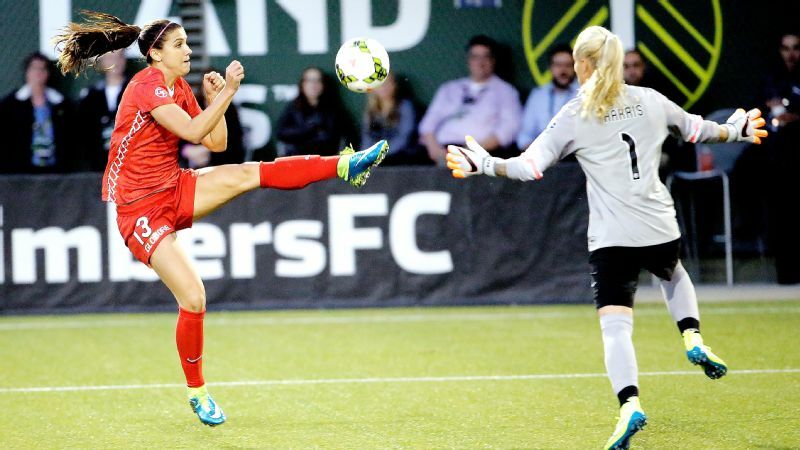 The start of the NWSL season marks a new frontier for women's soccer in this country, the first time any domestic professional league successfully made it to a fourth year. That is a legitimately significant development. It's just that the anticipation of that milestone inadvertently creates an expectation that the fourth year is in some way inherently momentous. The reality is a league that is one year more mature than it was. Rather than franchises at risk, the NWSL welcomes a second expansion team in 2016, the Orlando Pride competing alongside expansion predecessor Houston and a full complement of original entries. But even as the number of jobs increases and the salary cap rises, the math is inescapable. With non-allocated players making no more than $39,700, and some as little as $7,200, the NWSL remains a professional league in name but a minor league career for many. 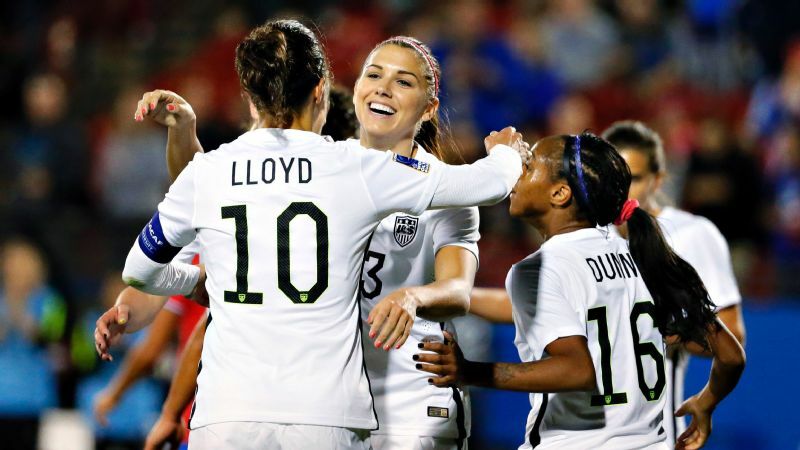 On Sept. 17, 2015, more than 34,000 fans watched the U.S. women's national team play a friendly against Haiti in Detroit. But four days earlier and not so very far away in Chicago, an announced crowd of a little more than 3,000 watched many of the same U.S. players contest a vastly more meaningful semifinal between the Chicago Red Stars and FC Kansas City. The league will again have games televised nationally by Fox, an agreement announced far earlier than a season ago. That's good. But the details, which NWSL commissioner Jeff Plush said would be clarified this week, still come late enough that the league missed an opportunity to market a high-profile opener like Orlando at Portland on Sunday night, i.e., Alex Morgan's return to the Pacific Northwest and what will presumably be a typically impressive atmosphere. For every positive, there is a caveat. The soccer is better. The league is wiser. The crowds are bigger. The exposure is increased. But the start of a fourth season isn't the destination. It needs to be the beginning. Can Shea Groom help make up for the goals that will be missing as Lauren Holiday (retired), Amy Rodriguez and Sydney Leroux (both of whom are pregnant) are absent this season for FC Kansas City? Will FC Kansas City find enough goals to sustain a dynasty? Time and circumstances will try to stop what the rest of the league could not. The two-time defending champions are without Lauren Holiday, who retired after winning both World Cup and NWSL titles at the peak of her abilities in 2015. They are also without Amy Rodriguez, Holiday's partner in so much of the postseason scoring the past two seasons but absent this season because of pregnancy. And they are sans Sydney Leroux, acquired via trade shortly before she, too, learned she was pregnant. Those are not the only changes -- Becky Sauerbrunn is the only defender who started in the 2015 final still on the roster -- but the dearth of established goal scorers is the most visible sign of the challenge ahead. The team returns just 13 of the 31 goals it scored a season ago. The new additions to the roster totaled just two NWSL goals a season ago. Coach Vlatko Andonovski and general manager Huw Williams have earned the benefit of the doubt when it comes to finding the right players for their style. The return of Desiree Scott, in addition to Jen Buczkowski deciding against retirement, could free Mandy Laddish for a more attacking role. And Yael Averbuch, Heather O'Reilly and Erika Tymrak are proven commodities. The pivotal figure is Shea Groom, the No. 12 overall a pick a season ago who scored four goals in just 13 appearances as a rookie. Why is Portland the most interesting team in the league? Start with what will be a season-long test of a rarely tested philosophical conundrum. Can you trade the most valuable asset in a professional sports league and be better for it? Granted, that's not the same as saying Morgan was the most valuable player in the league in any of the NWSL's first three seasons. Injuries and international commitments put out of reach any such declaration, which would have been difficult to make even under ideal conditions. On one hand, Portland traded a player with 15 goals in 36 league appearances. If a significant contribution, that is not irreplaceable. But even for a franchise that doesn't need her gate appeal to lap the league in attendance, trading away the potential of a healthy Morgan is a gamble. It admittedly feels less risky with former Hermann Trophy finalist Dagny Brynjarsdottir, Lindsey Horan, Meghan Klingenberg, Nadia Nadim, No. 1 overall pick Emily Sonnett and, eventually, French international star Amandine Henry among those arriving. The question, of course, is how all of the pieces will fit together for new coach Mark Parsons, late of the Washington Spirit. That's especially so in an Olympic year that will likely see Horan, Klingenberg, Tobin Heath, Henry, Christine Sinclair and potentially Sonnett and even Allie Long miss a chunk of time while in Brazil (on top of Henry's late arrival after completing her European obligations). After all, a team that never played on the field quite as well as the names on its roster suggested it would is a familiar theme in Portland. Forward Manon Melis, left, the Netherland's all-time leading scorer, might be the X factor for Seattle Reign this season. Wait, shouldn't we be talking about Seattle? It won't please fans in Seattle to find their team mentioned only after the Midwestern rival that plucked away the championship the past two seasons and the noisy neighbor to the south on Interstate 5 that owns the league's other championship banner. In just about any other part of the soccer world, Seattle would be the lead story as the season begins. The Reign would possess the NWSL dynasty with a 29-5-10 record over the past two seasons, in which they coasted to first-place finishes by double-digit point totals. But in this part of the globe, where we treat the more telling sample size of regular seasons as ways to kill time before the playoffs, Seattle's 2-2-0 postseason record weighs at least as heavily on the scales. It's not logical, but it's the way we do things. So the Reign can be forgiven for sticking with largely the same core that served them so well through their past 44 regular-season games. If there is an X factor, especially in light of Megan Rapinoe's absence with an ACL injury, it's Manon Melis. Long the league's best international shoppers, from mainstays Kim Little and Jess Fishlock to more short-term additions like Naho Kawasumi two seasons ago, Seattle appears set to plug the Dutch international into its top line. Alex Morgan was traded from Portland to expansion team Orlando in the offseason. The two teams meet Sunday in the Pacific Northwest. Who are five more names who will shape the season? Lady Andrade, Western New York Flash: There are no guarantees it will produce results, but pairing Andrade with new Western New York coach Paul Riley should at least be entertaining. A disappointing run in Portland notwithstanding, Riley has a track record of recognizing talent. And Andrade, the Colombian who raised eyebrows by calling out the U.S. women in the World Cup and won fans with an equally audacious playing style, has ample ability. A young team even in a young league, the Flash are a preseason enigma and Andrade the best representation thereof. Alyssa Naeher, Chicago Red Stars: Split between Karina LeBlanc and Michelle Dalton, goalkeeper wasn't much of a liability a season ago in the Windy City. But that's the point. LeBlanc's retirement could have signaled a step backward, or at least sideways, for a young team ready to compete for a championship. Instead, the Red Stars upgraded the position with Naeher, a player who was mired on some bad Boston teams but is in her prime and increasingly appears to be the No. 2 for the United States. She might be the puzzle's final piece in Chicago, one of the league's models of sound management, scouting and player development with a lineup full of rising stars. Kealia Ohai, Houston Dash: In what will be another abbreviated club season for Morgan Brian and Carli Lloyd, Ohai might be the key for what is no longer the league's newest team. The No. 2 overall pick in 2014 has been as relentless as advertised and done everything asked of her, be it playing wide or more centrally. But with eight goals in 42 appearances, there is still opportunity to go from holding her own in games to imposing her will on them. 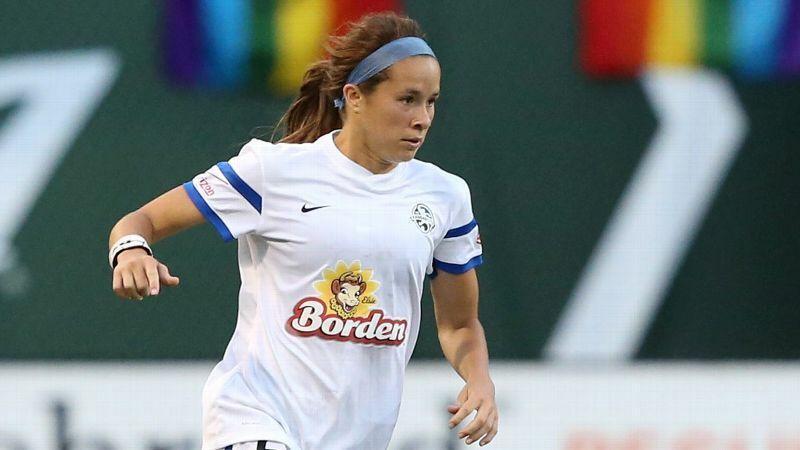 Raquel Rodriguez, Sky Blue FC: The Hermann Trophy winner and No. 2 pick in this year's draft, Rodriguez might savor the relative calm of a pro season. After scoring Costa Rica's first World Cup goal, the goal that won Penn State its first NCAA title and coming close to Olympic qualification in the span of about eight months, she gets to settle in and focus on a single task. She has the skills, story and personality to be a star. Tom Sermanni, Orlando Pride: Regardless of whether anyone can stop Seattle's Little on the field, the league finally has a Scottish accent every bit the equal of the former MVP's brogue. 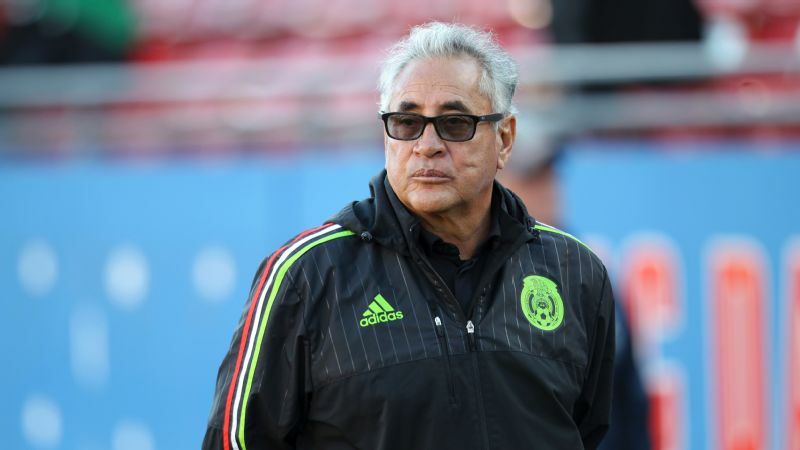 Probably most widely known for his time as coach of the Australian and U.S. national teams, Sermanni's ties to pro leagues in this country go back to the WUSA. With Morgan, Becky Edwards, Ashlyn Harris and Lianne Sanderson, among others, the cupboard is not as bare as expansion status implies in Orlando.